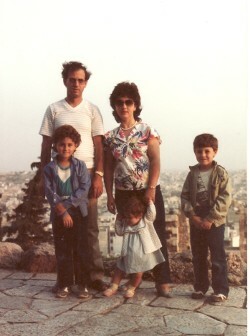 Above: My parents, Dimitra and Zinnon. Above Right: Selling ‘koulouria’ in a school play. Above: At the Monastery of the Holy Trinity in winter. 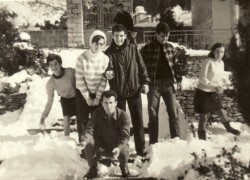 L-R: Koula Tsami, unknown, myself, Markos Balanis and unknown. 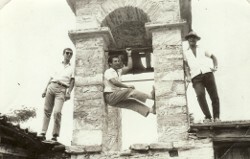 In the front is Ioannis Stamatis. 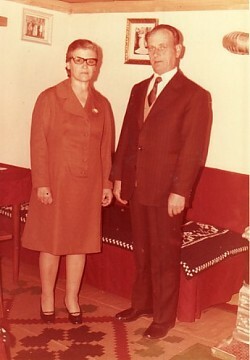 Above Right: With Markos Balanis (right). 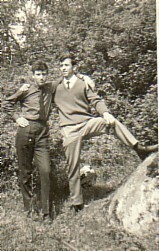 Above: With Konstantinos Kandratzis (left). Above Right: At the Monastery of Holy Trinity. 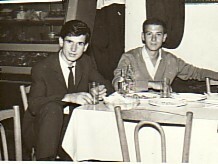 L-R: myself, my cousin Georgios Miraleas and friend, Nikolaos Karadimos. 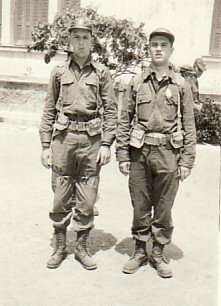 Above: On my first day of National Service in Kalamata, I am on the right. Above Right: At the Acropolis, Athens. With my wife, Sofia, and our children, Dimitra, Katerina and Zinnon. 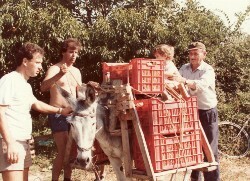 Above Right: Gathering peaches on my father’s farm. L-R: myself, my brother, Argiris, my daughter, Katerina, and my father, Zinnon. 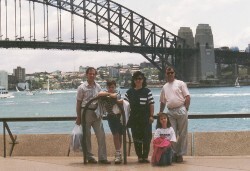 Above: A photograph taken during my parents’ visit to Australia. 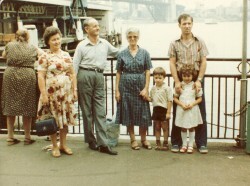 L-R: my mother-in-law, Katina Paparelli, my parents, Zinnon and Dimitra, myself and my children, Zinnon and Dimitra. 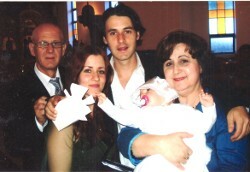 Above Right: At my granddaughter Evangelia’s baptism. L-R: myself, my children, Katerina and Zinnon, and my wife, Sofia, whose holding Evangelia.